The stylish two wheeler manufacturer Honda Motorcycle and Scooter India revealed its new 160cc bike known as CB Hornet 160R which could replace the CB Trigger. 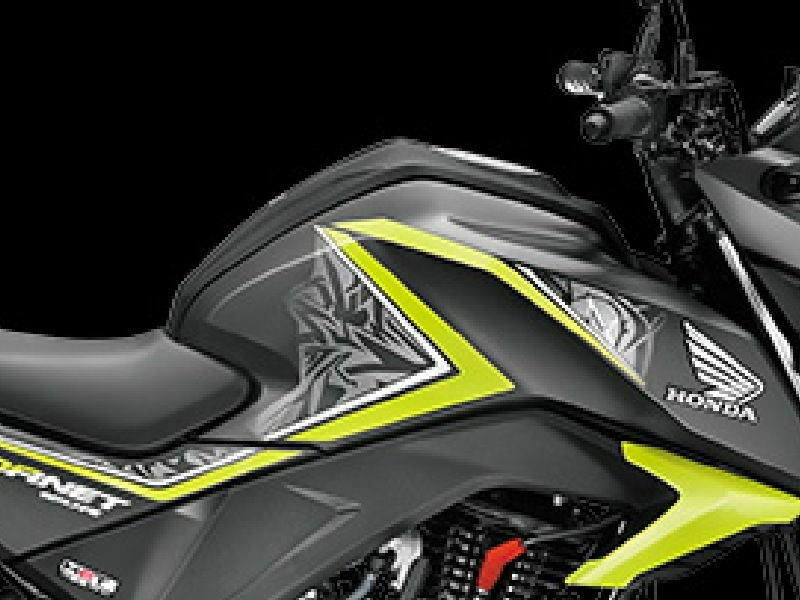 The new CB Hornet 160R is powered by a 160cc single cylinder engine churning out the maximum power output of 14.5bhp at 8000rpm and maximum torque of 14.6Nm. 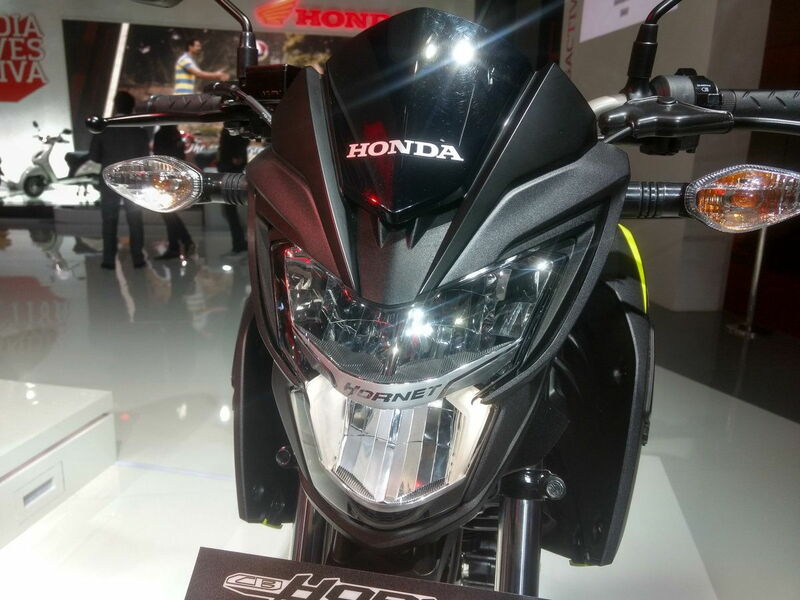 The bike looks very stylish with a sharp, edgy headlamp with plastic cladding on the sides and muscular fuel tank along with position lamps. 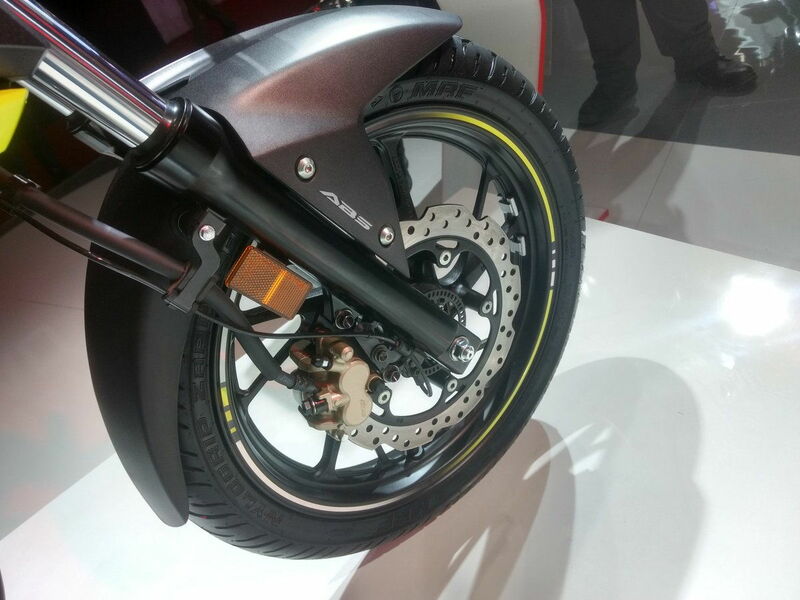 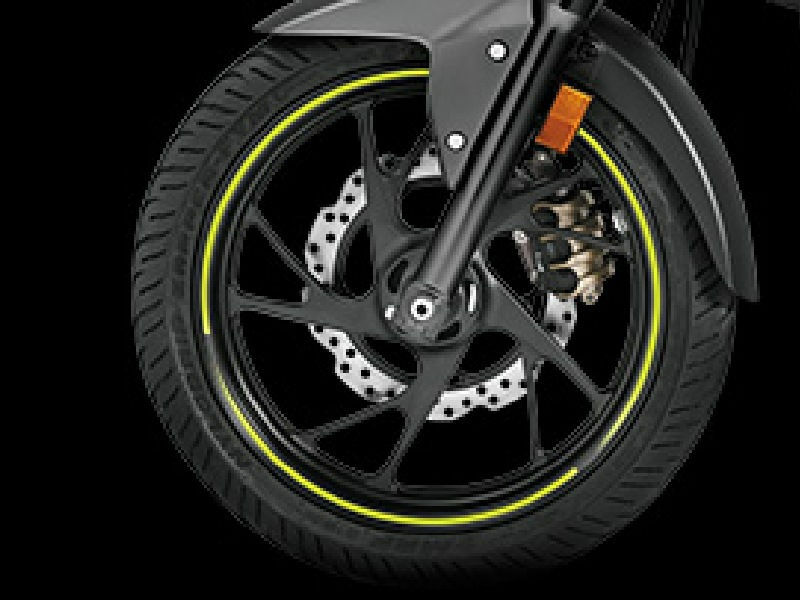 It comes with a front mudguard in dual tone color shades which is quite attractive. 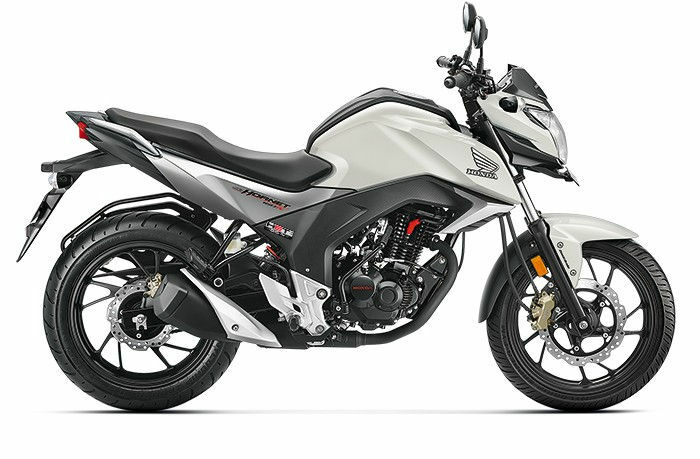 Honda CB Hornet 160R is expected to give a tough competition to its similar other bikes such as Suzuki Gixxer, TVS Apache, Bajaj Pulsar 150 and Yamaha FZ. * Prices of Honda CB Hornet 160R indicated here are ex-showroom price not the on road price of CB Hornet 160R. Price list is subject to change and for the latest Honda CB Hornet 160R India prices, submit your details at the booking form available at the top, so that our sales team will get back to you. 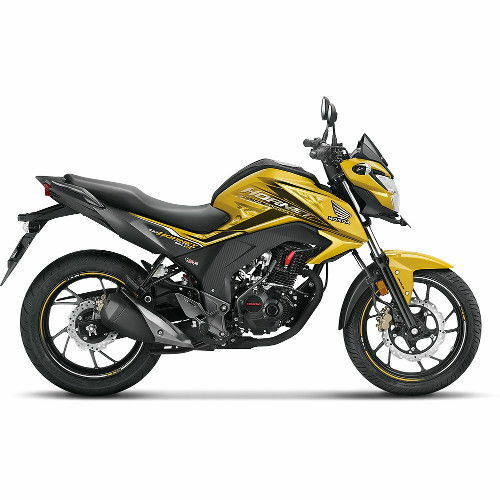 Honda CB Hornet 160R mileage mentioned here is based on ARAI test drive made under standard test conditions. 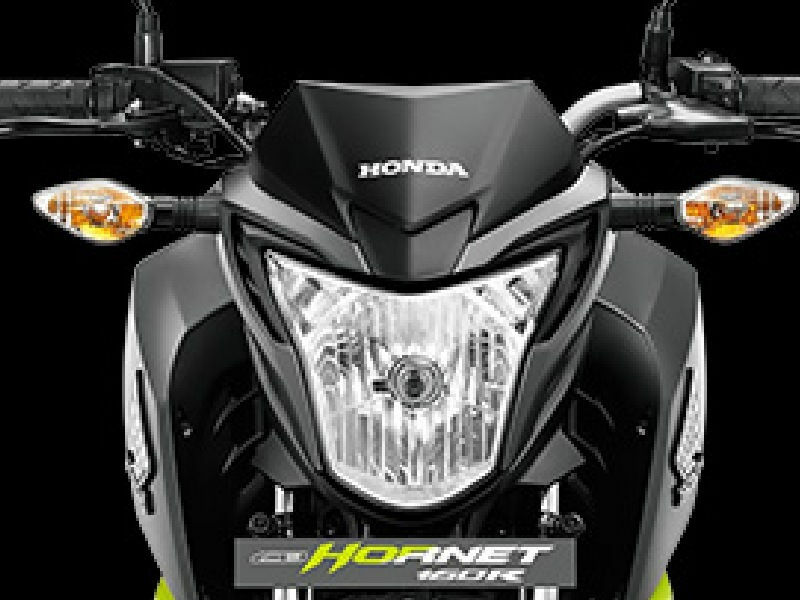 "The prime specs of Honda CB Hornet 160R are listed here. 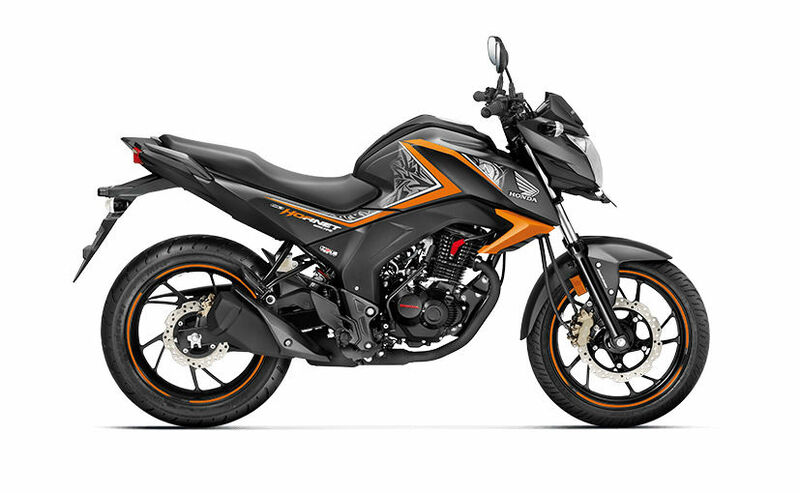 The overall length, width of the bike should give you an idea about its manoeuverability to sneak and run through the traffic jams.Engine specs of CB Hornet 160R are also listed here. 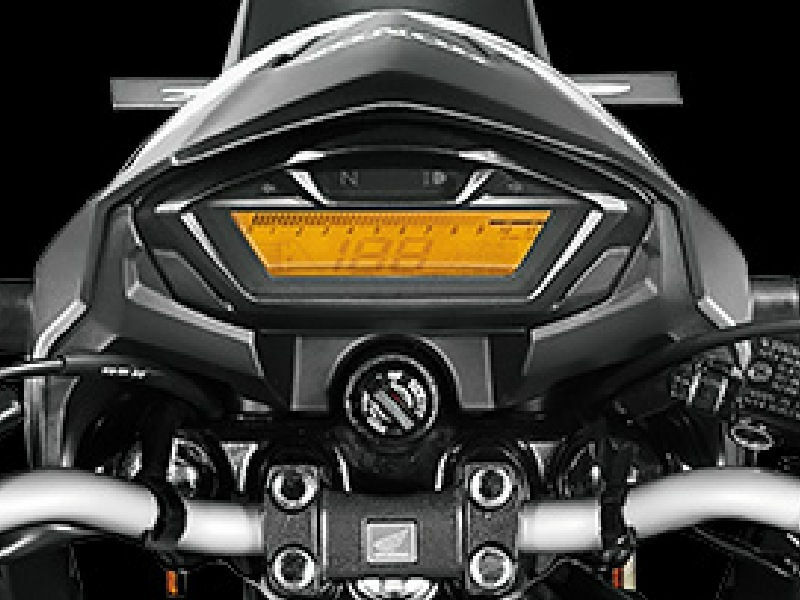 With the power (in bhp) and torque (Nm) figures the most important ratios - power to weight ratio of CB Hornet 160R and torque to weight ratio. The displacement (in cc) is the measure of cubic capacity of the engine. 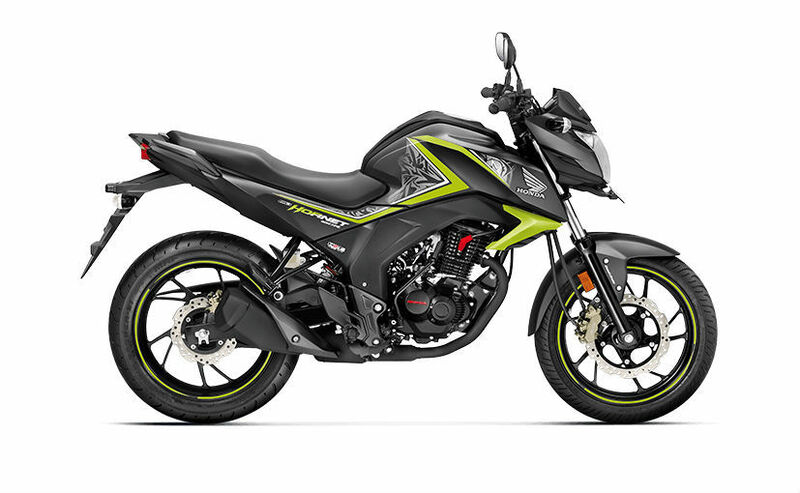 The performance figure of the bike zero to sixty and zero to 100 in seconds will give you the sense of the power the bike possess and its on road performance. 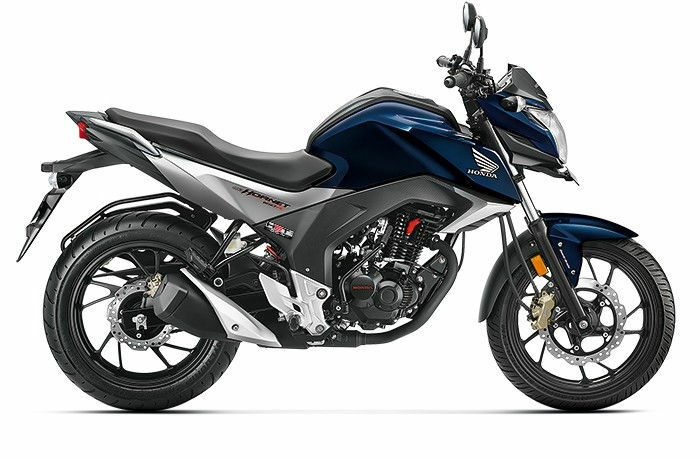 The lesser the time taken by the bike to reach 60kmph or 100kmph the faster it is over it competitors "
Hi guys,I have owned Honda CB Hornet 160R and I have lot of reasons for choosing the bike. 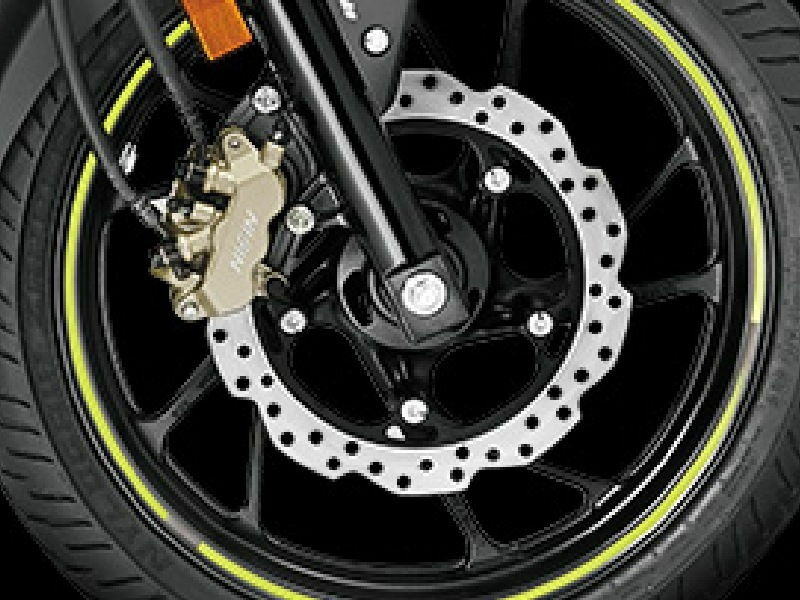 The important features of the bike are as follows. 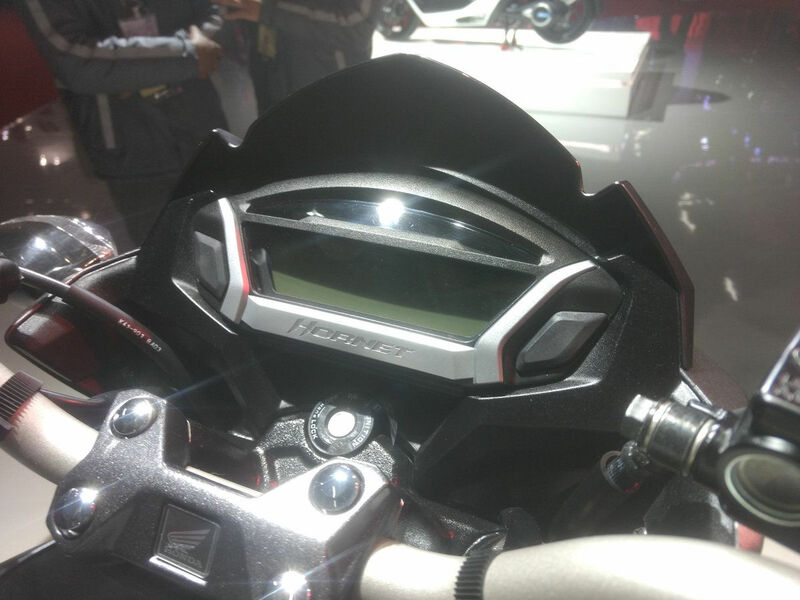 1) Muscular tank 2) Very sharp with position lamps and lcd digital meter 3) Fresh wave disc with CBS 4) Wire rare tyre 5) Short tail with X shaped LED 6) Dual tone front mudguard 7) One piece seat 8) Edgy headlamp with plastic cladding. 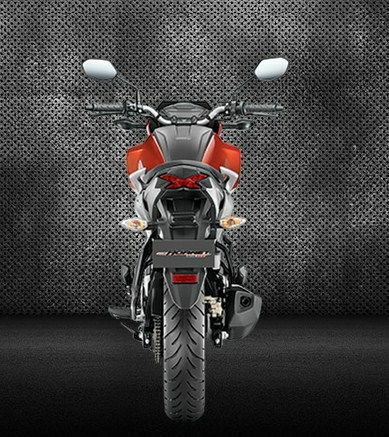 All these features altogether makes the Honda CB Hornet 160r bike a premium commuter. 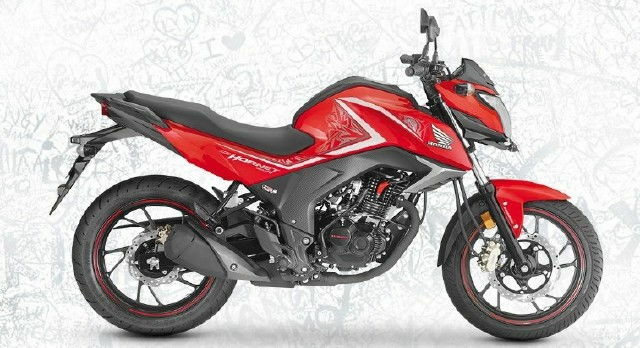 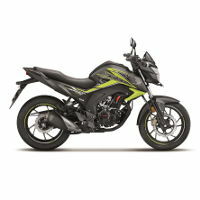 I think it would be a tough competitor to its similar other vehicles such as Suzuki Gixxer, TVS Apache, Bajaj Pulsar 150 and Yamaha FZ.